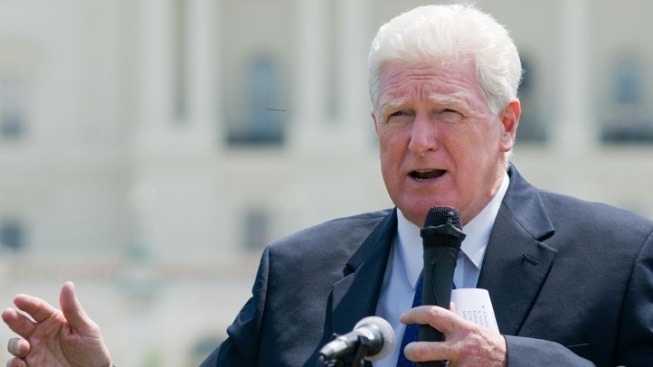 Rep. Jim Moran's announcement that he would not seek re-election set off a multi-candidate Democratic primary in Virginia's 8th Congressional District. The establishment choice, former Virginia Lt. Gov. Don Beyer, has raised more than $1 million so far, the only one of the seven candidates to do so. The winner of next Tuesday's primary is expected to easily win the general election against Republican Micah Edmond; President Barack Obama carried this liberal district 68 percent to Mitt Romney's 31 percent in 2012. Beyer is facing state Sen. Adam Ebbin, the first openly gay member of the Virginia Legislature; radio talk show host and constitutional attorney Mark Levine; Virginia state delegate Patrick Hope; and three others. Political experience: Lieutenant Governor of Virginia (1990-1998); ambassador to Switzerland and Liechtenstein (2009-2013); Virginia chair of Clinton-Gore campaign, 1992, and Kerry-Edwards campaign, 2004; treasurer and Virginia chair for Howard Dean 2004 presidential campaign; finance chairman, Mark Warner's Forward Together leadership PAC. Democratic nominee for Governor of Virginia, 1997. Education: Bachelor's degree from George Washington University. Political experience: Member of Virginia General Assembly, 2004-2011; state senator, Jan. 2012 to present. Education: Bachelor's degree, American University in Washington. Political experience: Alexandria School Board, 1974-1984; Alexandria City Council, 1994-2003; Alexandria mayor, 2003 to present. Occupation: Member of the Virginia General Assembly; director of legislative policy at the American College of Cardiology; adjunct professor at Johns Hopkins University's Bloomberg School of Public Health. Political experience: Virginia General Assembly, 2010-to present. Education: Bachelor's degree, St. Mary's University in San Antonio; master's degree in congressional studies and law degree, The Catholic University in Washington. Political experience: Alexandria Redevelopment and Housing Authority, 2009-2013 (chairman in 2012); Alexandria Planning Commission, 2013-present. Education: B.A., Colgate University, Psychology, 1996; M.A., University of Kansas, Human Development, 1999; M.A., University of Chicago, Social Sciences, 2000; Ph.D., University of Chicago, Sociology, 2005. Political experience: Chief legislative counsel to Rep. Barney Frank, D-Mass. Education: Economics degree from Harvard; law degree from Yale; Fulbright scholar.